How would you like to be instantly connected to high speed broadband — so that you wouldn’t need your home WiFi? So that your car, appliance would have contact with an internet hub at all times? Videos on demand, without buffering problems, no matter where you are on Earth? To some extent we already have such an internet via LTE/WiMax (a.k.a. 4G). 5G promises a vastly larger bandwidth, faster response time, allowing for the deployment of many new devices. Self-driving cars would be major beneficiaries. It’s not clear yet whether cell phones would see a faster speed. Deployment of 5G would require the installation of many more antenna towers, because the range of 5G signals is much shorter than 4G or LTE. We would see many more towers on our urban landscape. AT&T plans to deploy the system for trial in several cities, among them, Atlanta, Charlotte and Raleigh in North Carolina; Dallas, Houston, and San Antonio in Texas. What about health concerns? About that there is less information, though there are many reasons to be concerned. The health risks of cell phones and of RF energy are already well documented. The physical mechanisms of why microwave energy at low power levels are harmful are still debatable. But recent studies and older studies showed how cell phone radiation caused tumours to grow in small animals. Predictably such studies evoke opposition from the telecommunications industry, reminiscent of the fight of tobacco companies against cancer studies. Even The American Cancer Society, while stating that cell phones are safe, admits that theirs is not the last word, and much uncertainty remains. 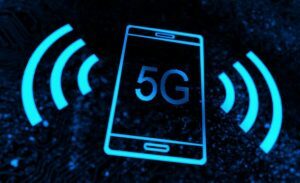 5G transmitters will bathe us in a microwave signal, in some cases 100 times more powerful as used by cell phones. You would think that some sort of health studies and risk assessment would have been done. With so many people exposed to powerful microwave radiation, shouldn’t such tests be exhaustive? Other than one modeling study I’m not aware of any such health studies. Deployment of 5G promises to be a health experiment with the people of the trial cities as subjects. Even if health problems show up, establishing cause and effect (as the tobacco battle have shown) is notoriously difficult and could take years. Responding to those concerns, 215 scientists from 41 countries voiced their concerns to the UN, World Health Organization, listing many areas where 5G poses risk to human health. An international appeal to ban 5G on Earth and in space has garnered over 14,000 signatories. I am deeply concerned at our increased exposure to microwave energy. When supplied with sufficient power microwaves can cook our food. They can also be used as military weapons. There is a high likelihood that a microwave weapon was deployed in the US Cuban embassy and caused brain damage to many diplomats. At some power level, microwaves damage human cells. Human beings are not just biochemical machines. As I have argued in this column, we are also electric beings, receptive to electromagnetic and microwave energy. Unsurprisingly many people are sensitive to radio-frequency energy. Some cities in northern California have already banned the installation of 5G towers. One has to hope that other cities will follow, and refuse to allow their citizens to be subjects of this health experiment.